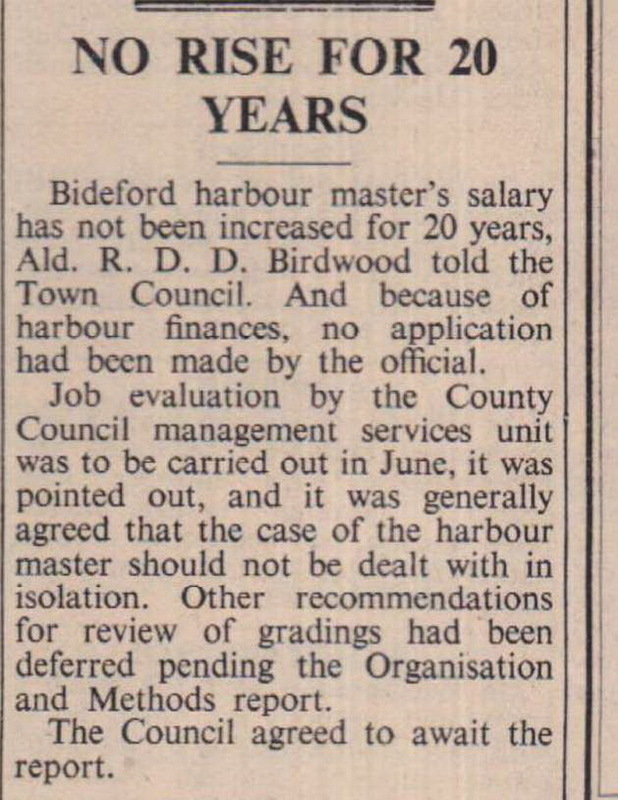 Bideford harbour master's salary has not been increased for 20 years, Ald. R. D. D. Birdwood told the Town Council. And because of harbour finances, no application had bene made by the official. Job evaluation by the County Council management services unit was to be carried out in June, it was pointed out, and it was generally agreed that the case of the harbour master should not be dealt with in isolation. Other recommendations for review of gradings had been deferred pending the Organisation and Methods report.